Ace shuttlers Kidambi Srikanth and Parupalli Kashyap kept Indian hopes alive by advancing to the semifinals of the India Open, a BWF World Tour Super 500 tournament, here on Friday. Danish Victor Axelsen, who was too good for HS Prannoy, will be up against Kashyap in Saturday's semi final, while Srikanth will face China's Huang Yuxiang. 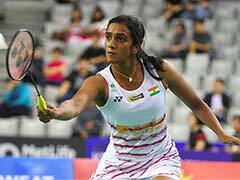 In the women's section, PV Sindhu, playing the last match at the KD Jadhav Hall 1 on Friday, beat eighth seed Mia Blichfeldt 21-19, 22-20 to sail through to the last four. 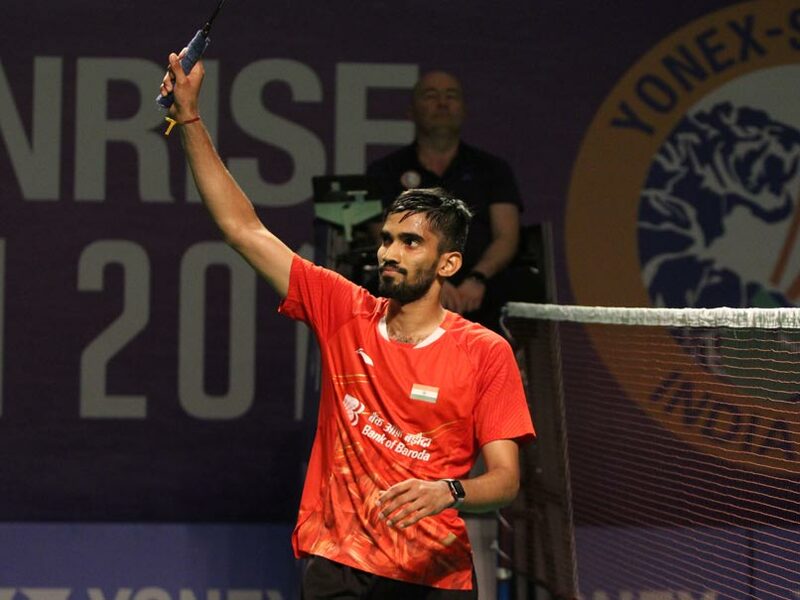 In a riveting all-India encounter, 2015 champion Srikanth edged past Sai Praneeth 21-23, 21-11, 21-19 in one hour and two minutes for just his third win in eight meetings over the former Swiss Open runner-up. Kashyap, 32, then turned back the clock to reach his first semifinal in a World Tour 500-level tournament in nearly four years with a comfortable 21-16, 21-11 victory over Wang Tzu Wei of Chinese Taipei. In the decider, Praneeth took a 13-10 lead, but Srikanth's patience brought him back into contention. In a tense ending, Srikanth's lob at 19-19 landed right on the backline to give him a match point which he duly converted. "After losing the first set and trailing 1-7 in the second, coming back to take a 8-7 lead was the turning point," said Srikanth after the match. "After 1-1, I gave him too many one stroke points and there were no rallies. So I thought to build rallies and fight it out for every point and not to concede any easy point," he added. Former Commonwealth Games gold medallist Kashyap showed enough glimpses of his younger self by building a 9-6 lead in the first game against World No. 32 Wang Tzu Wei. The Chinese Taipei shuttler did make a brief comeback but Kashyap's deft touches at the net handed him the first game 21-16. Wang could not provide much resistance in the second game as Kashyap completed the 21-16, 21-11 win in just 39 minutes. "My body is feeling a little at ease than in the last few weeks. Maybe the training I've done recently put my body in a better shape," Kashyap said after the macth. In men's doubles, sixth seeds Manu Attri and Sumeeth Reddy effortlessly clinched an all-India quarterfinal against Pranaav Jerry Chopra and Shivam Sharma 21-10, 21-12. The former national champions were the last Indian pair standing in the doubles section after Ashwini Ponnappa and Sikki Reddy lost to Indonesian top seeds Greysia Polii and Apriyani Rahayu 10-21, 18-21. After being outplayed in the first game, an aggressive approach helped Ponnappa and Reddy turn it around in the second as they built a 11-6 lead. However, the top seeds came back strongly to wrap up the match in 37 minutes. India's Aparna Balan and Sruthi KP too lost 8-21, 11-21 to second seeds Jongkolphan Kititharakul and Rawinda Prajongjai of Thailand.